To do more detailed edits to your widgets, you can enable Advanced Mode. 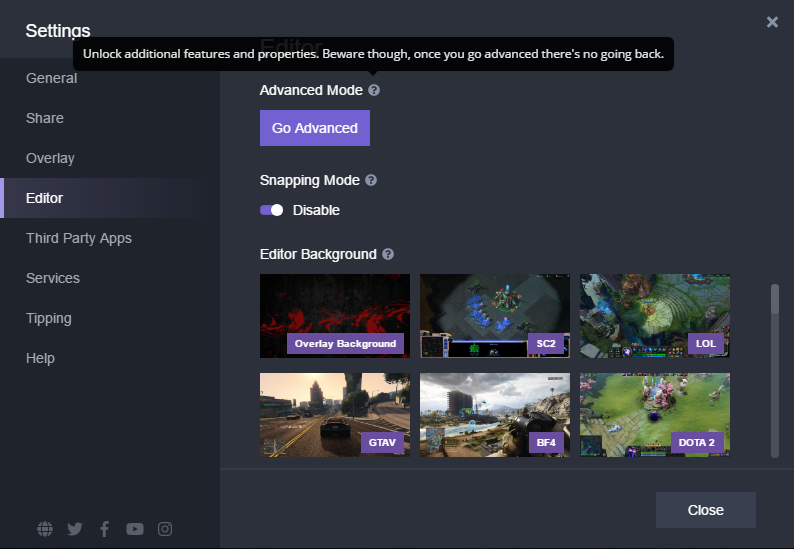 To do this, you will need to open your Overlay Editor&apos;s settings. 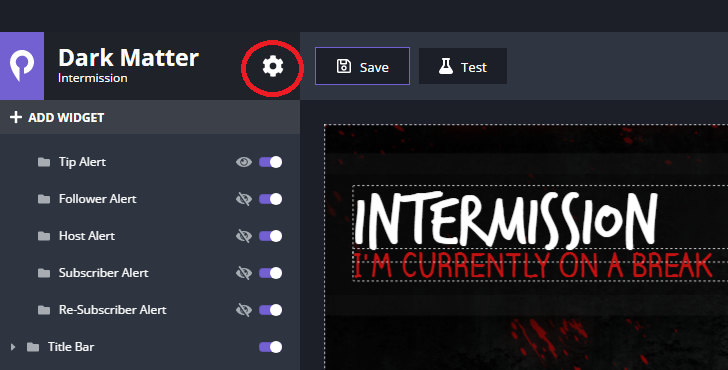 From the Settings window, go to the Editor tab, and then click the purple button that says: Go Advanced. This mode opens up additional properties and functions for your widgets. This includes moving one widget inside another widget.